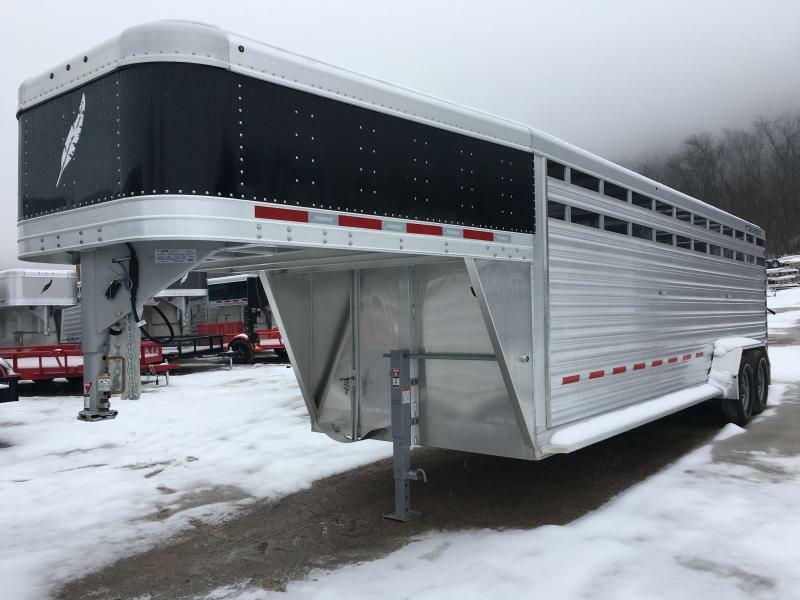 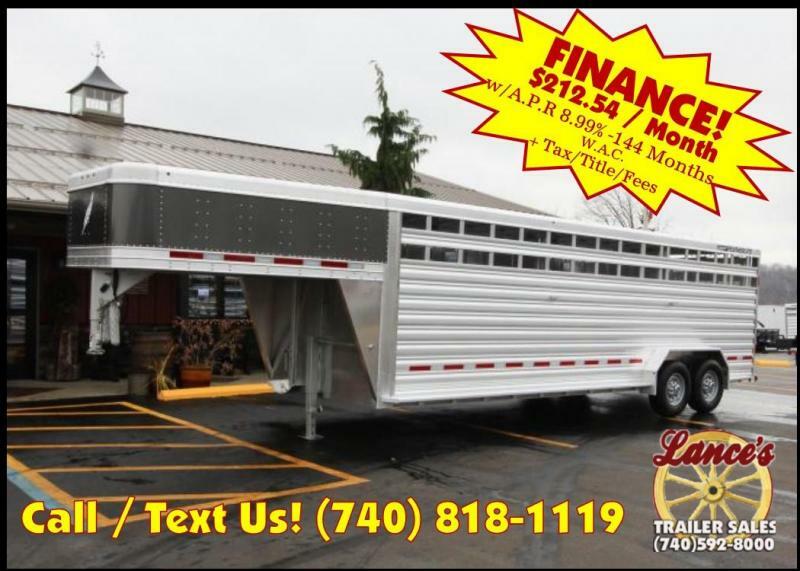 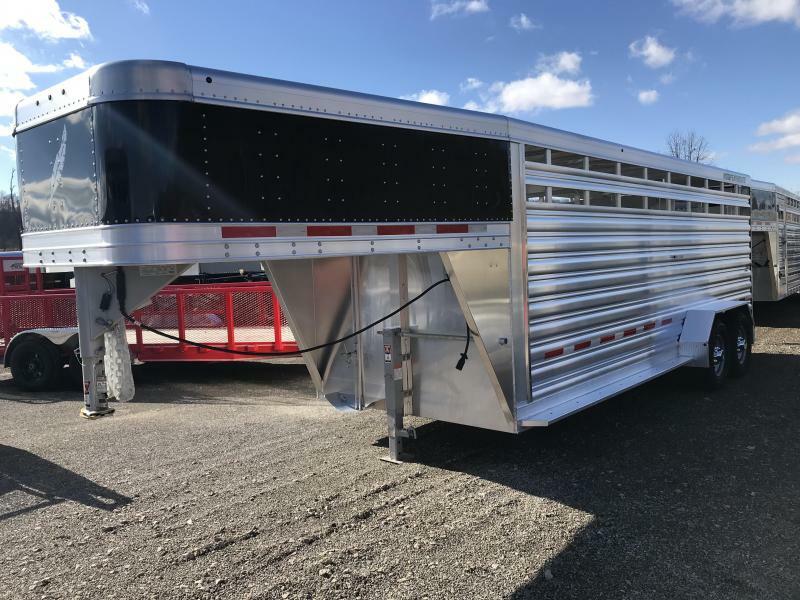 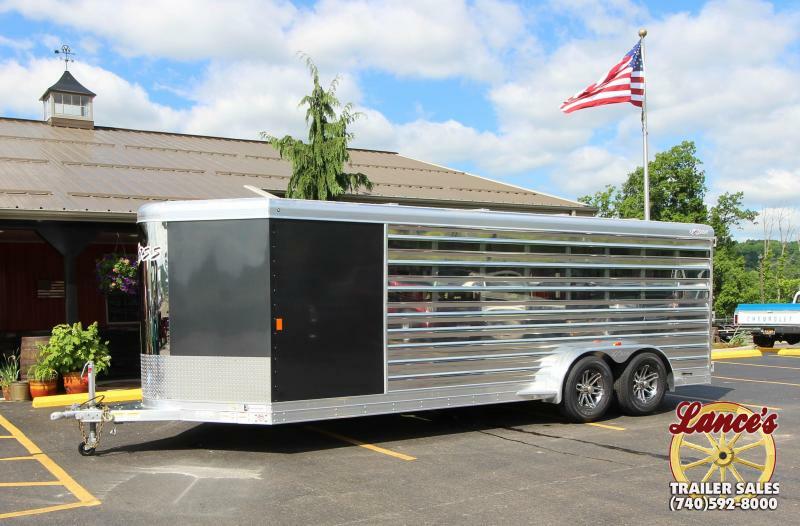 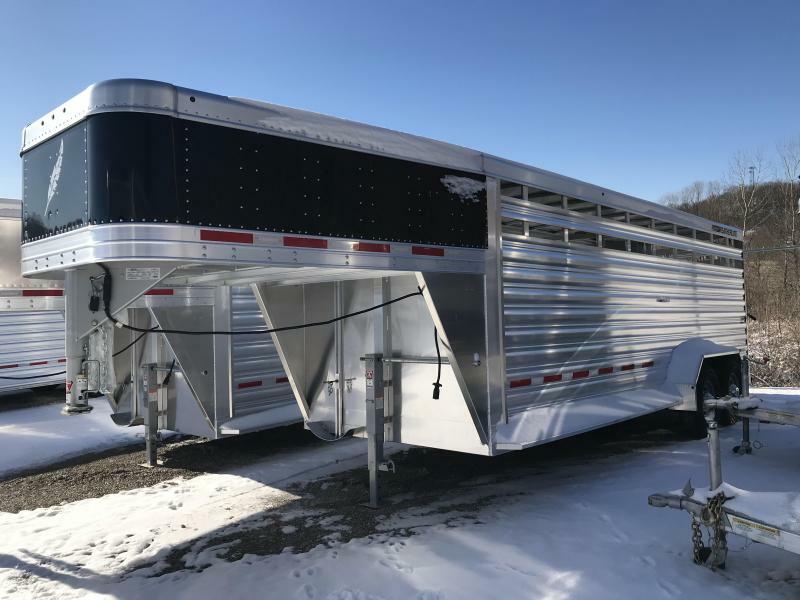 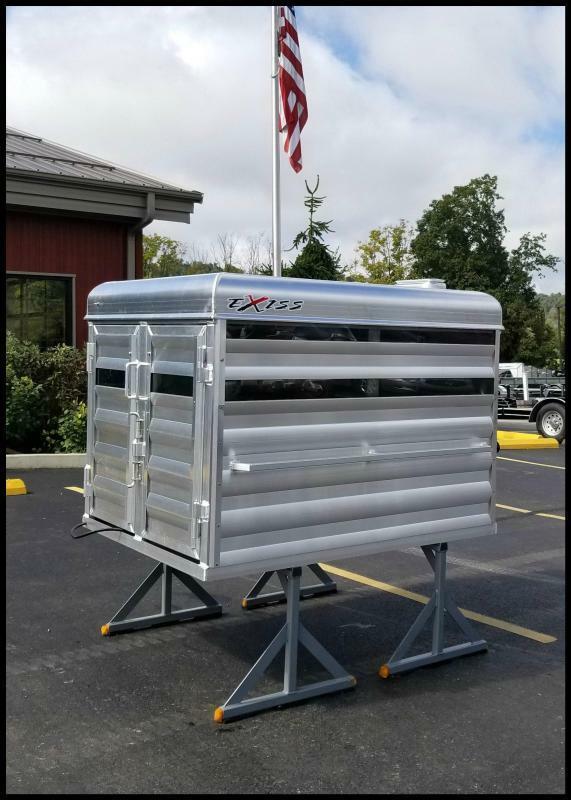 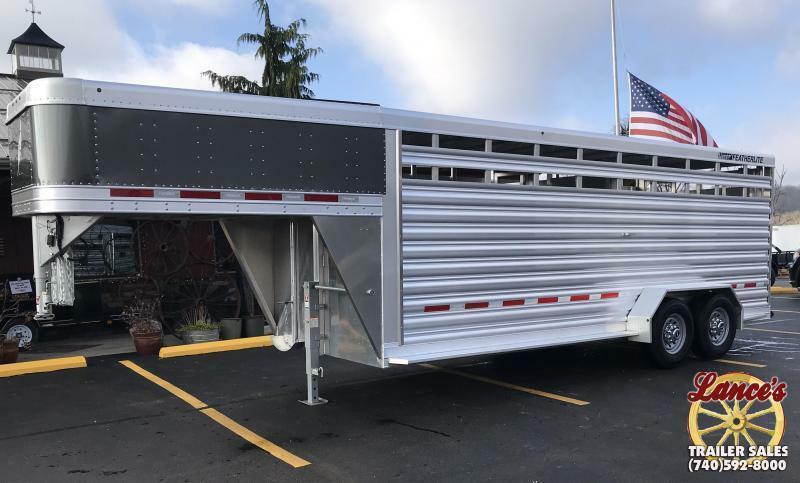 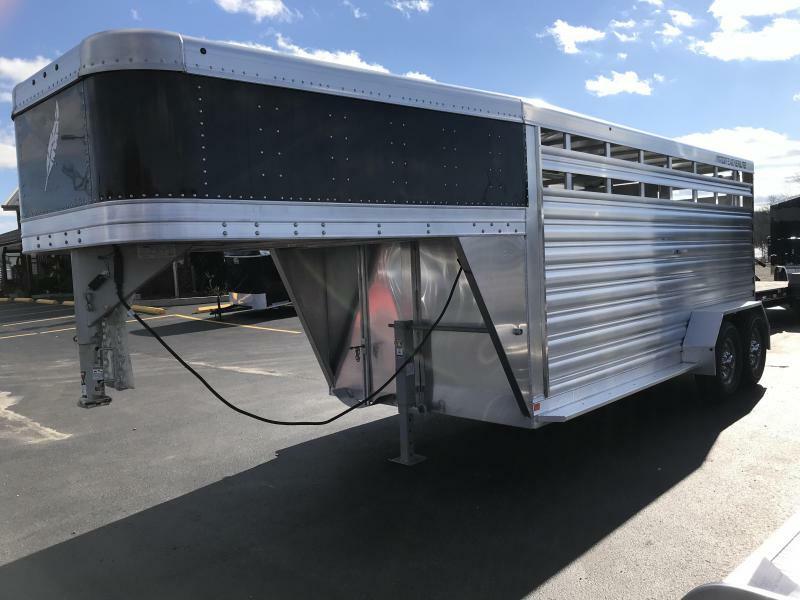 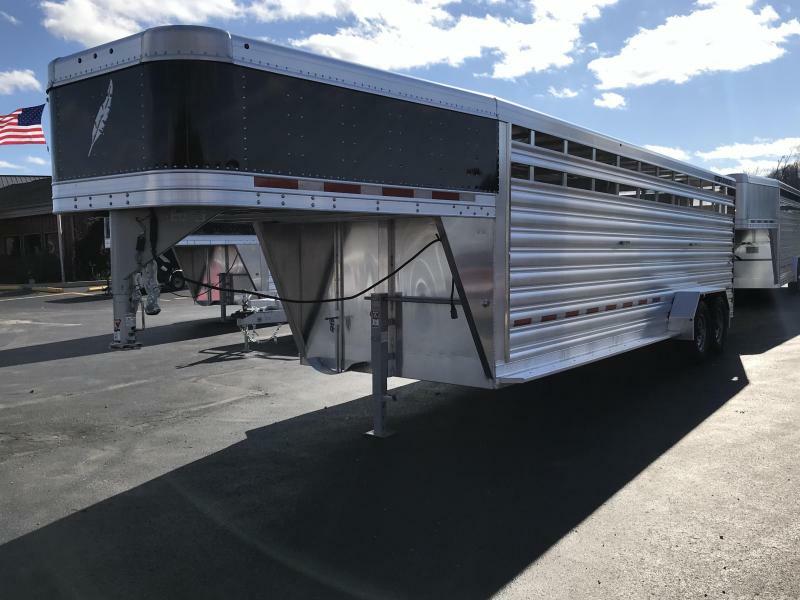 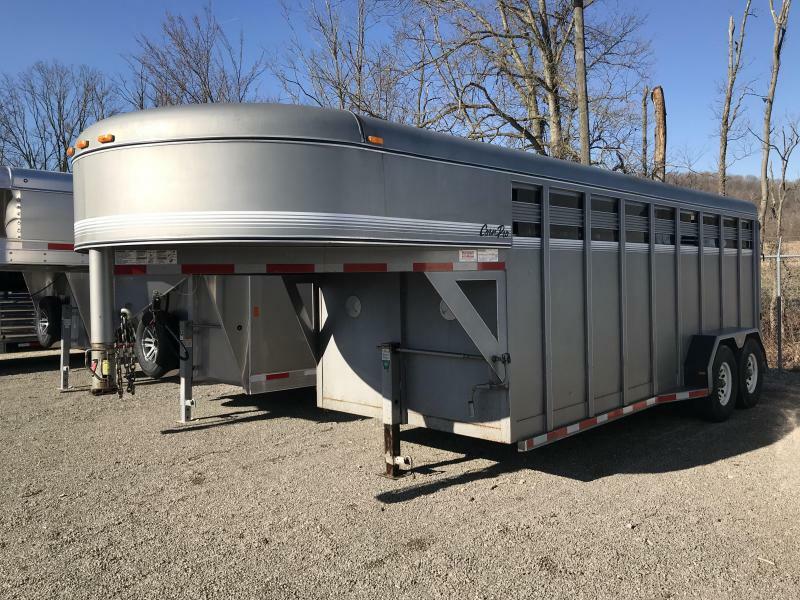 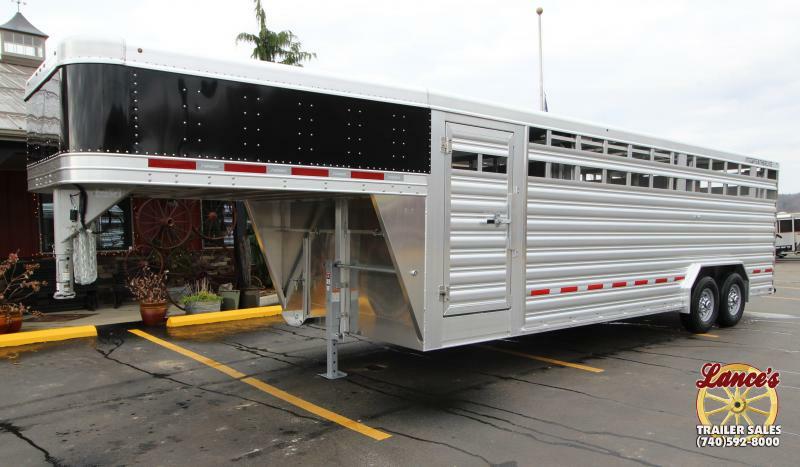 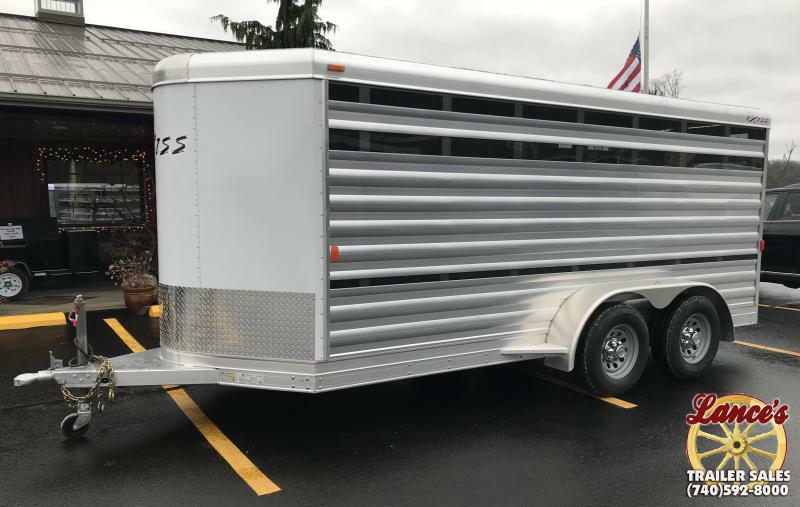 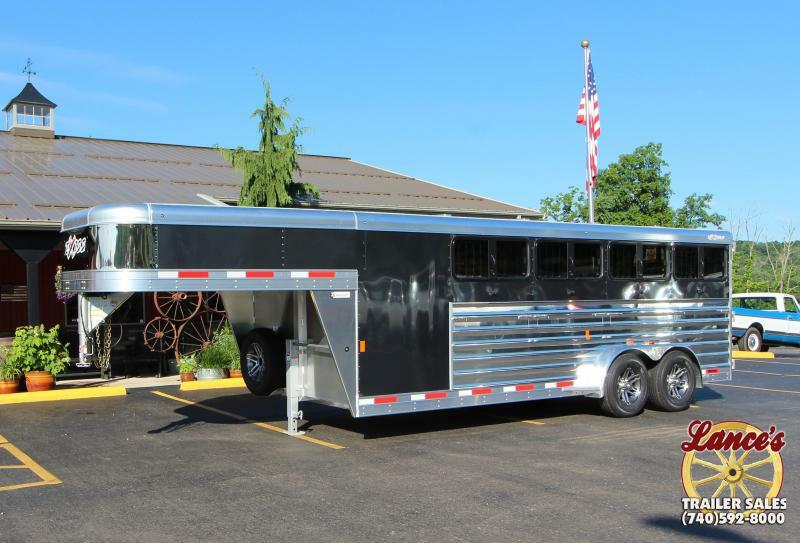 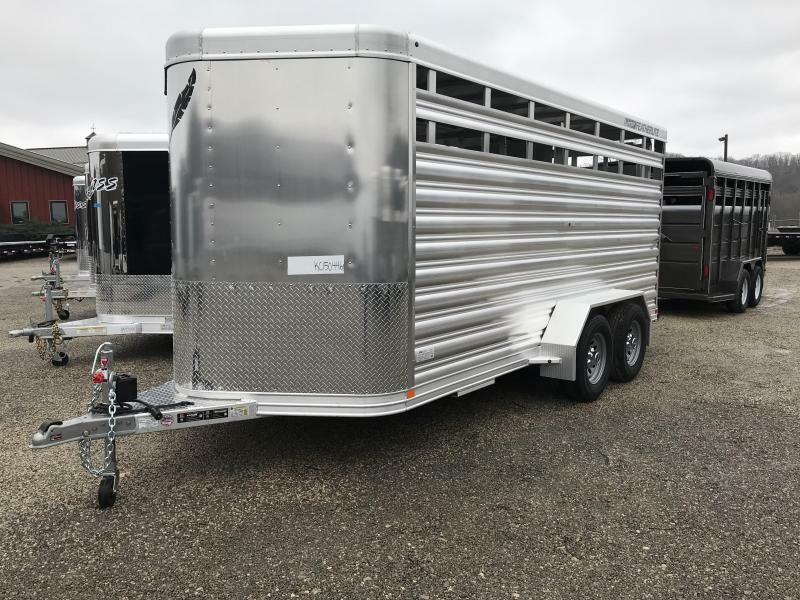 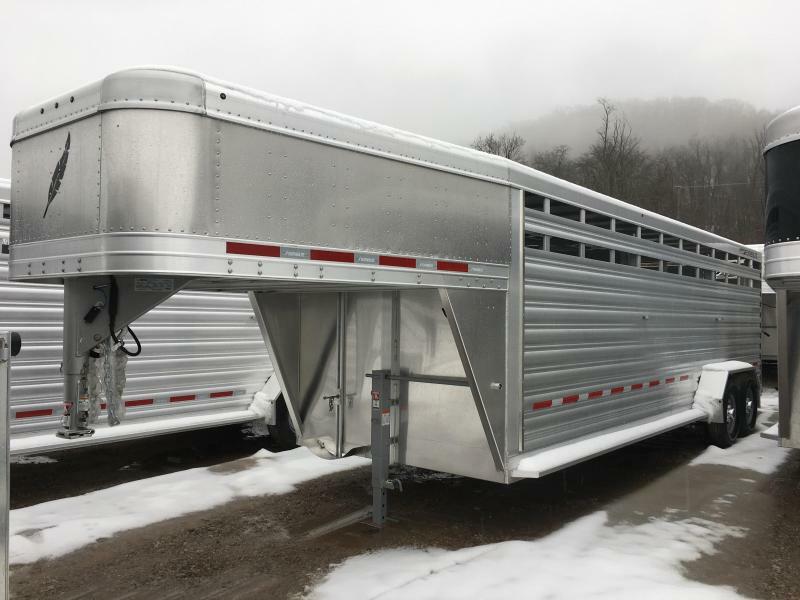 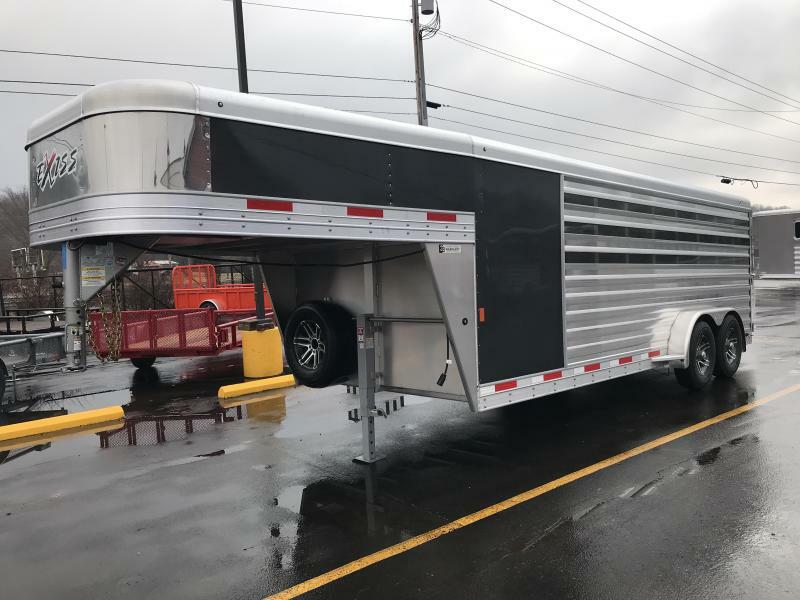 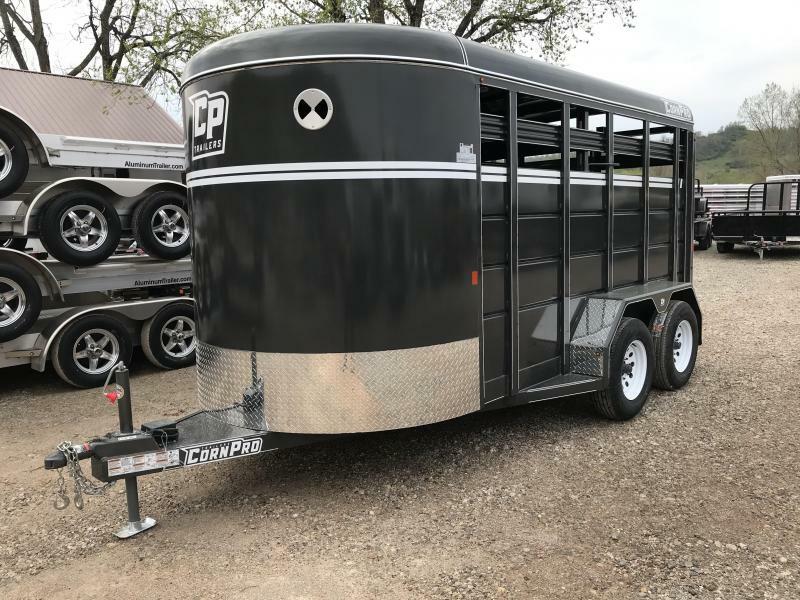 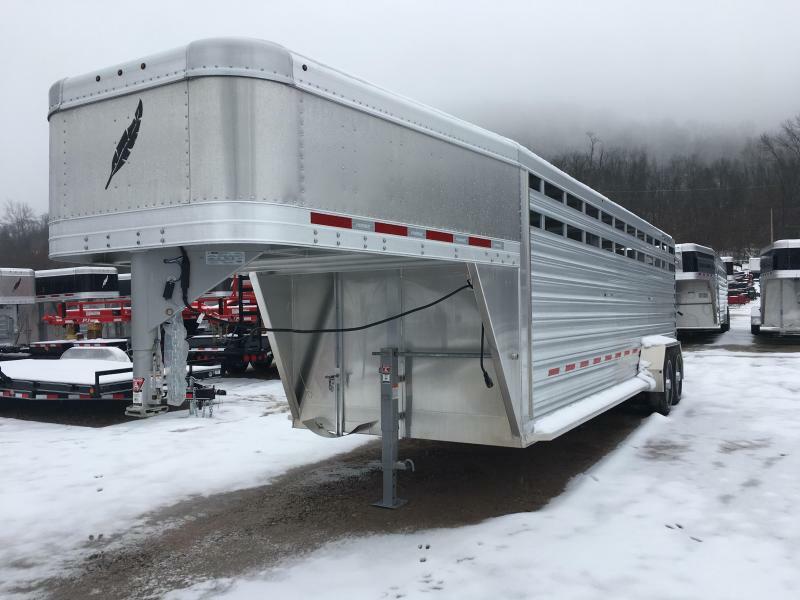 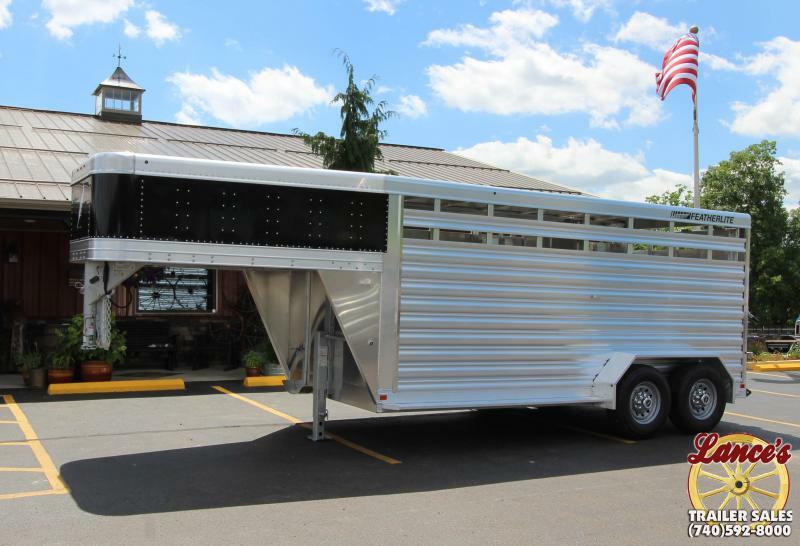 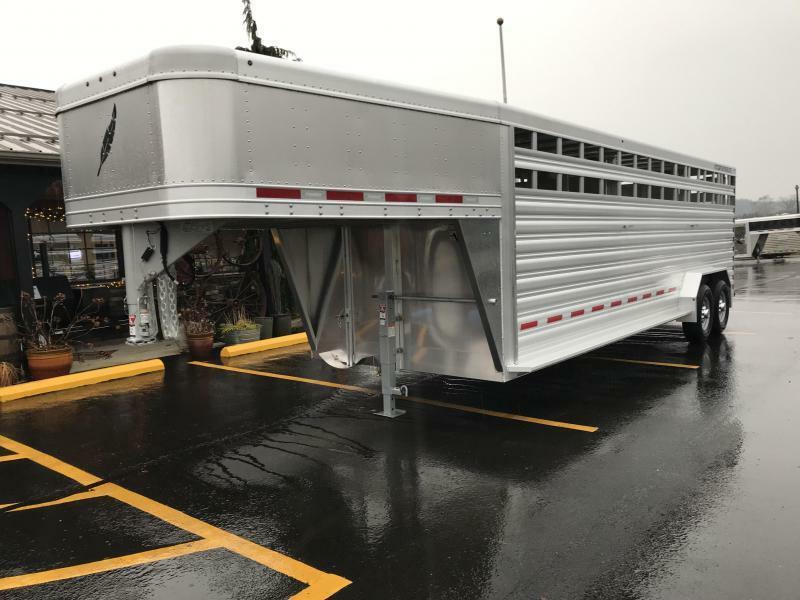 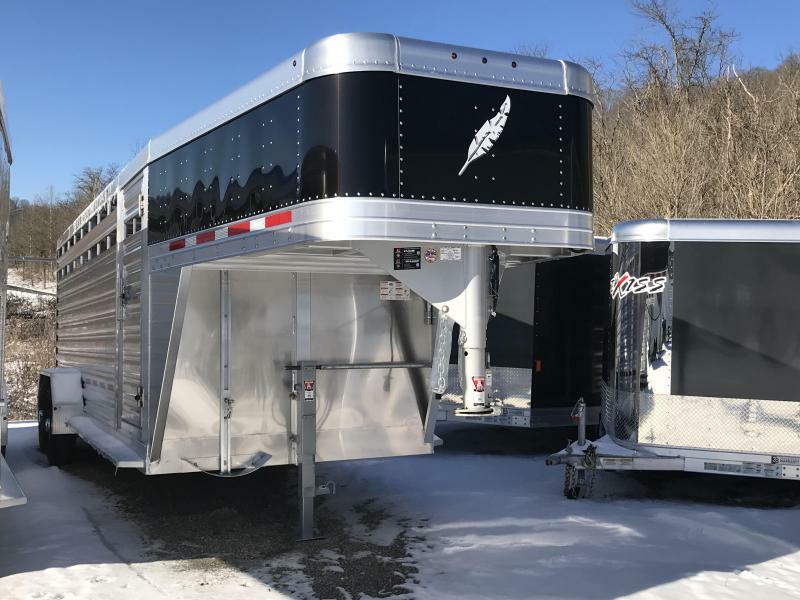 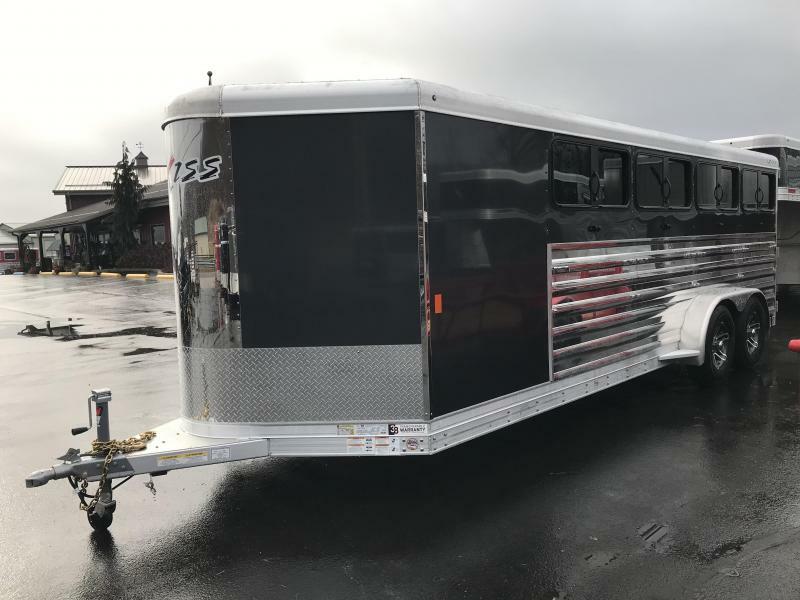 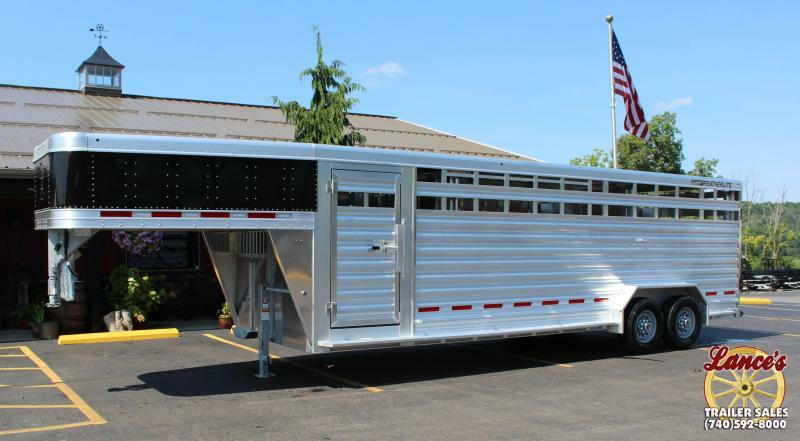 -6'Wx11'Lx6'2"H -5200# GVWR -1800# Weight -60/40 Pen System -(6) Pens -Full Rear Ramp -50/50 Stock Type Full Swing Rear Doors -Plexiglas Inserts -White Side Sheets -Roof Vents *Pricing denotes cash/check transaction. 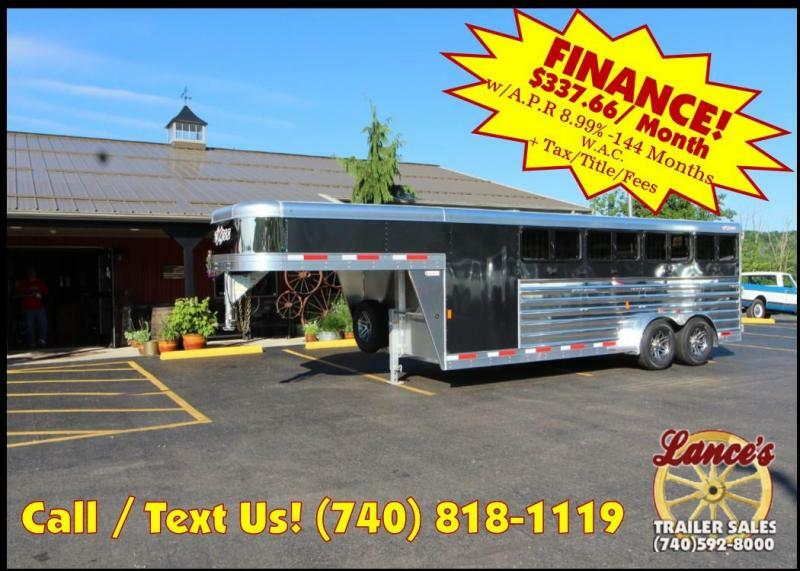 Credit Card fees may apply. 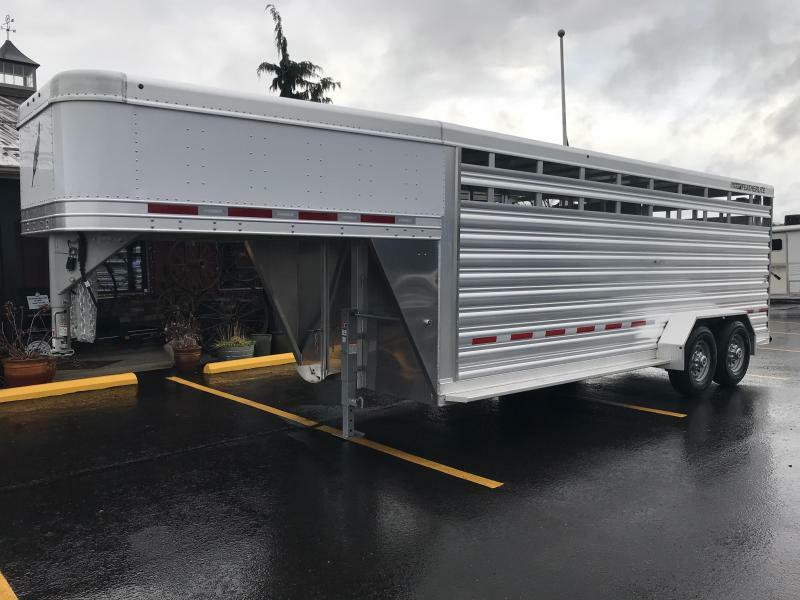 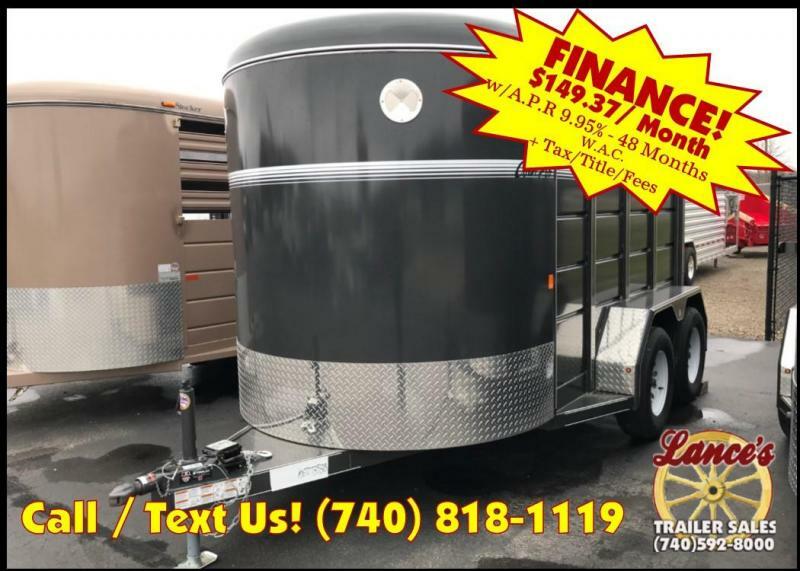 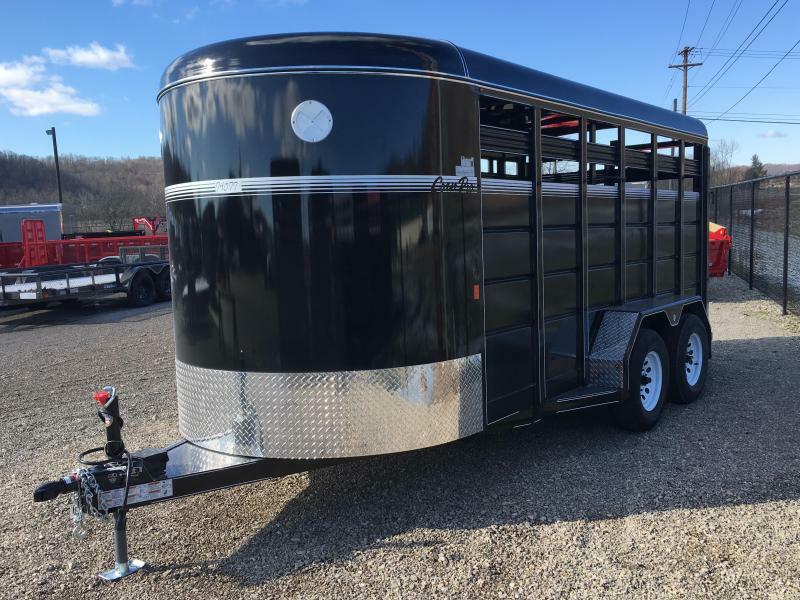 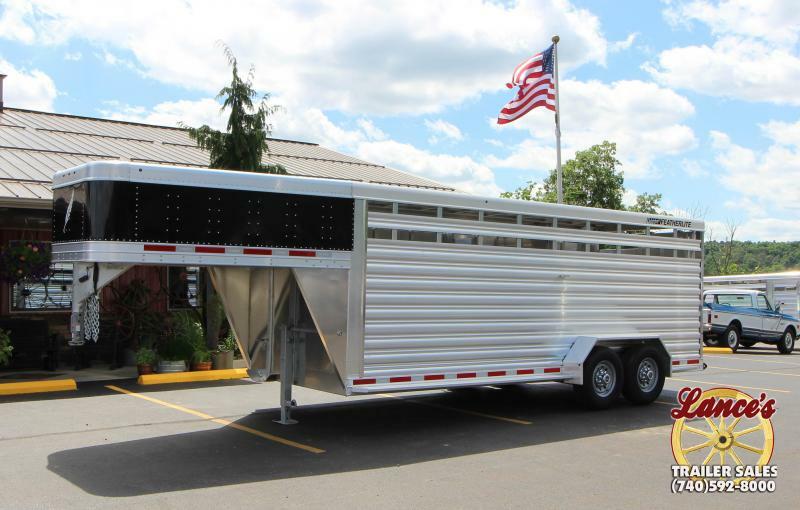 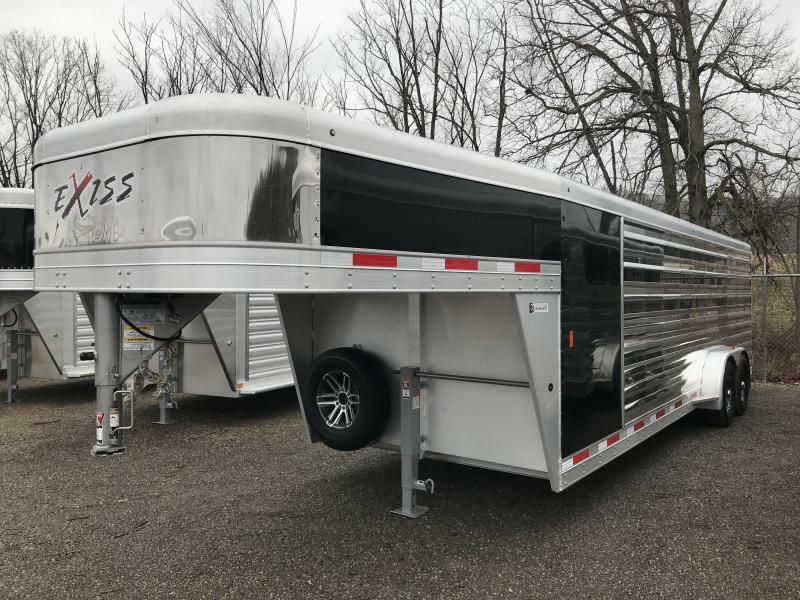 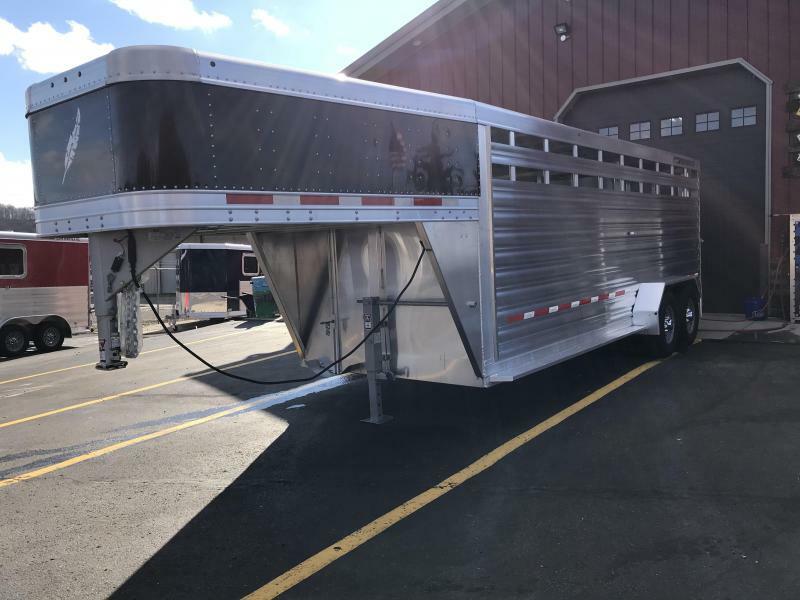 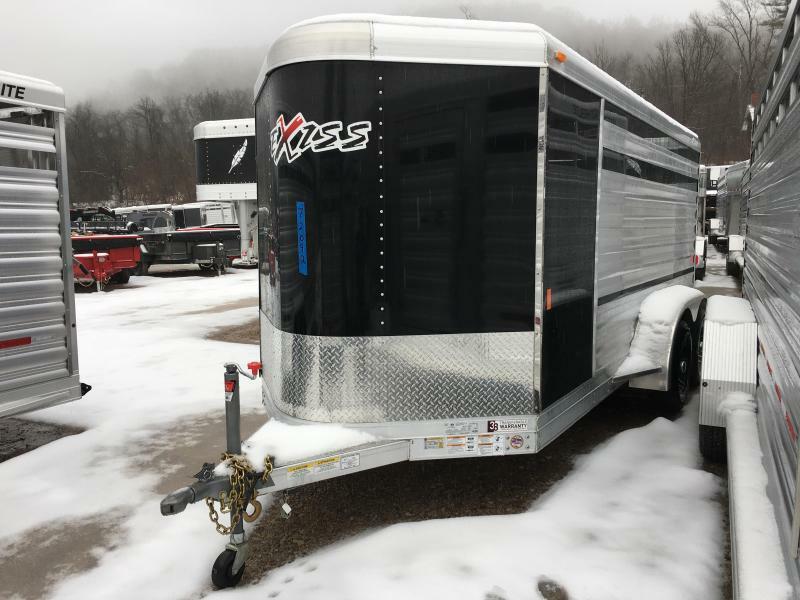 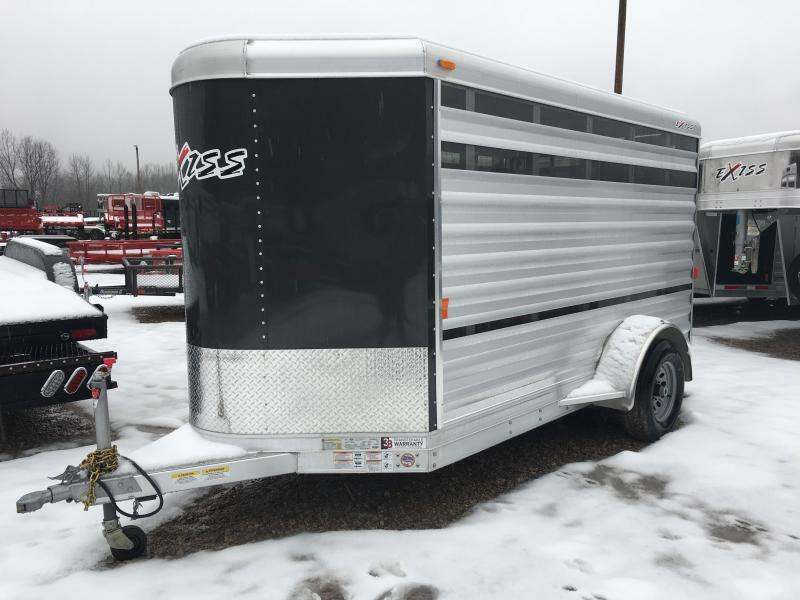 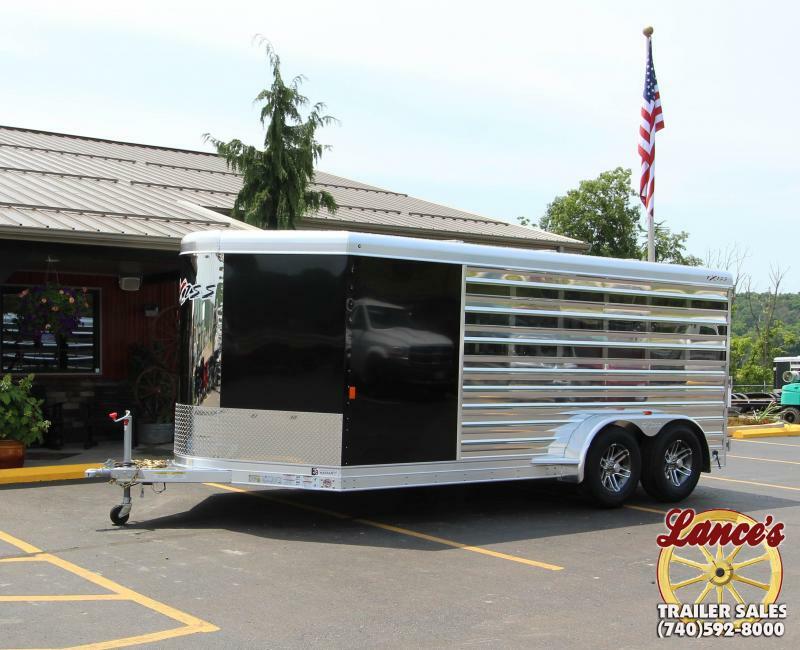 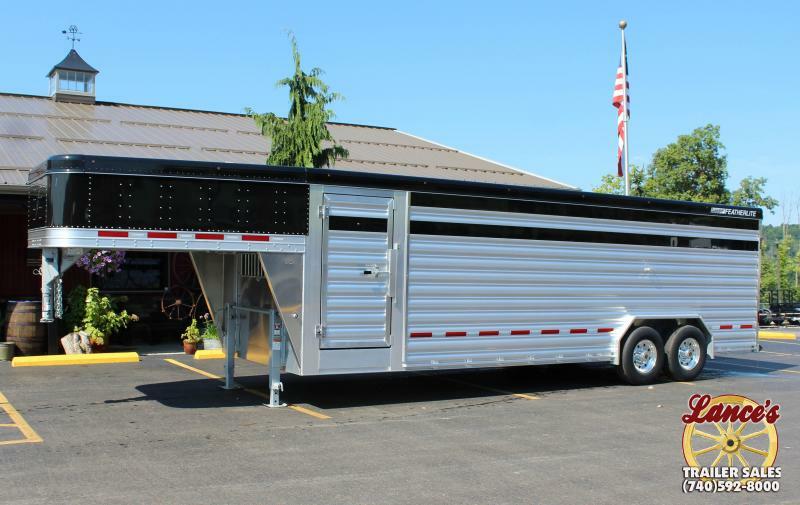 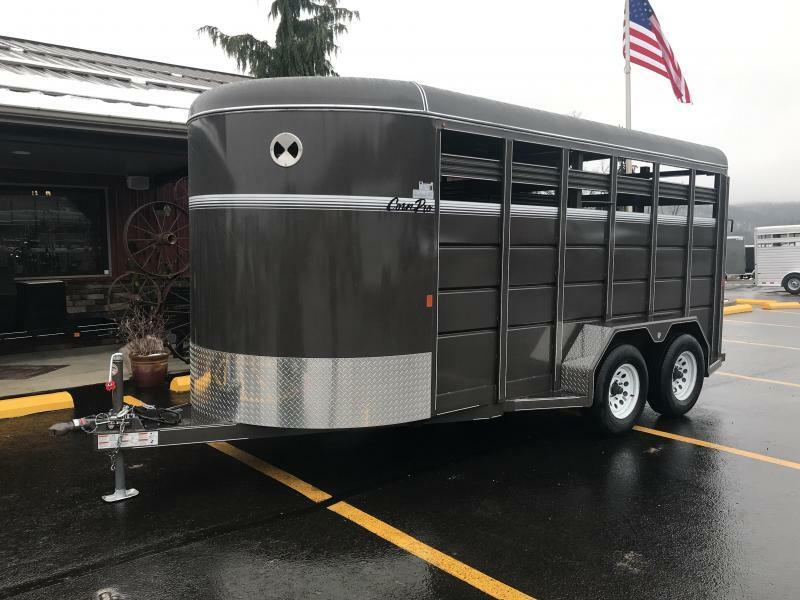 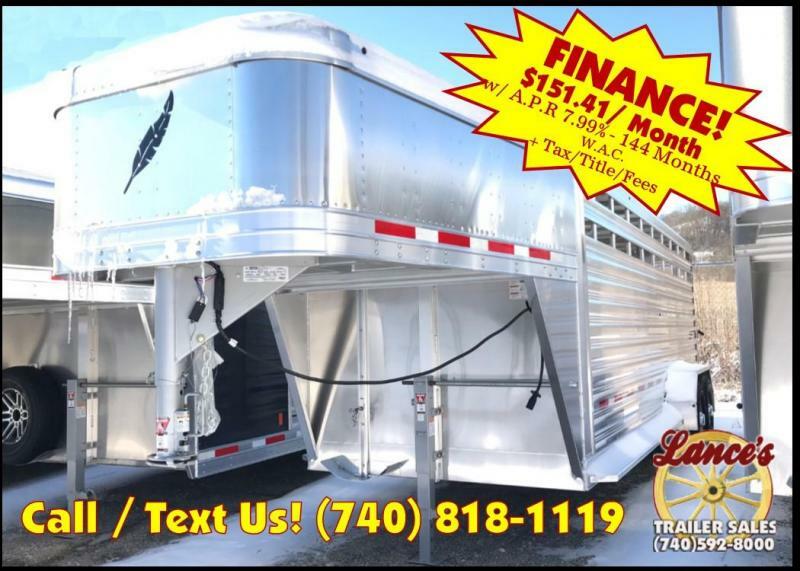 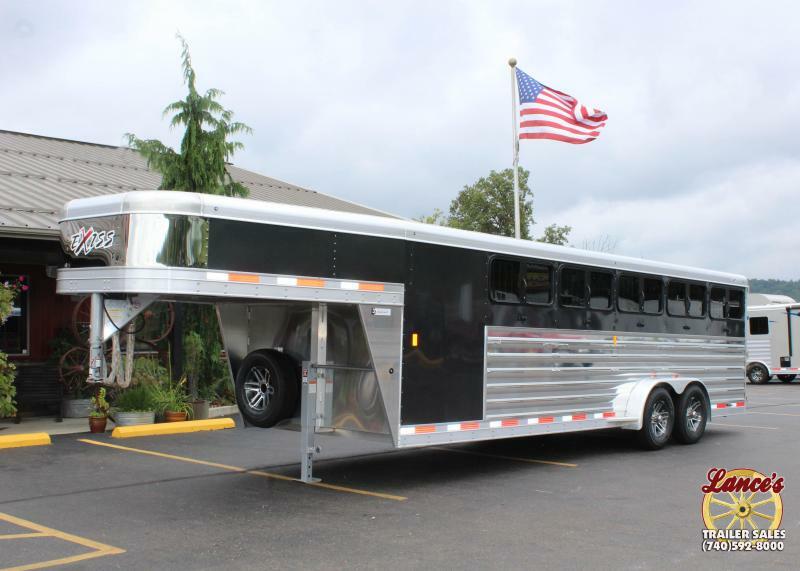 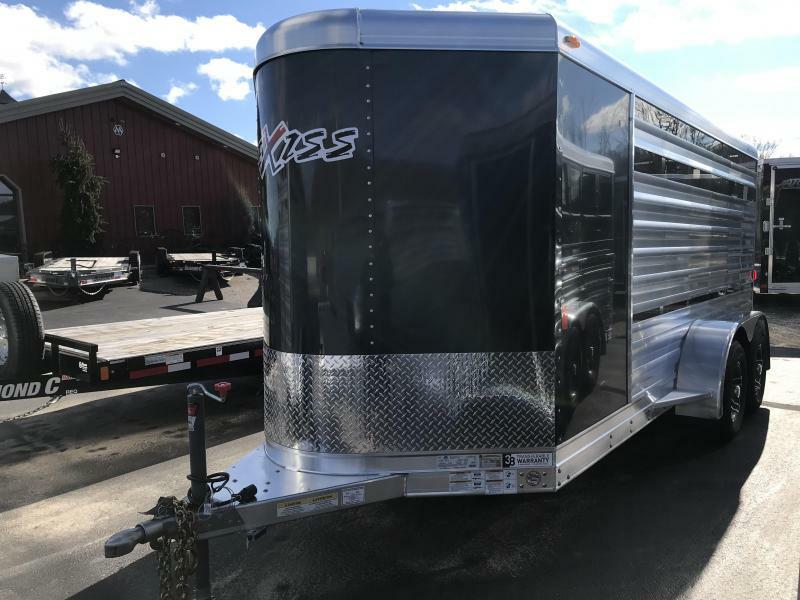 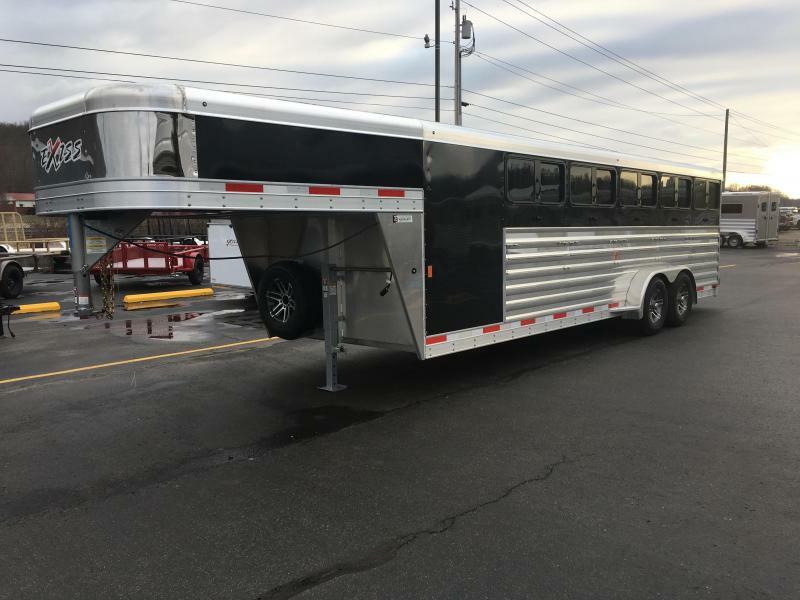 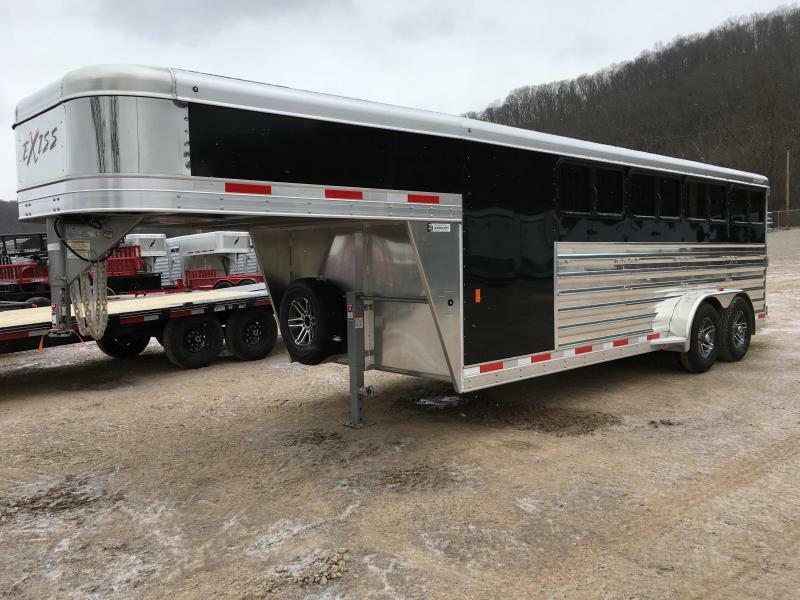 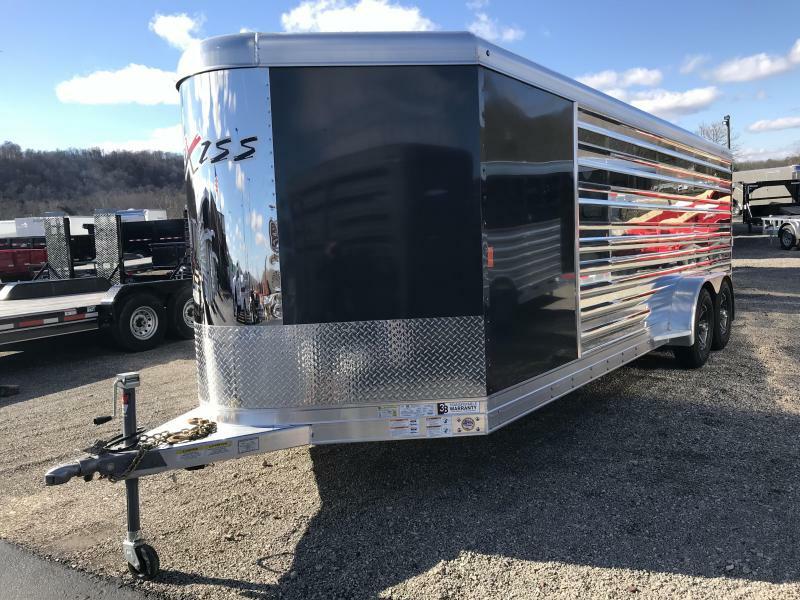 -6'Wx15'Lx6'2"H -7000#GVWR -1800# Weight -60/40 Pen System -(6) Pens -Full Rear Ramp -50/50 Stocky Type Swing Rear Doors -White Side Sheets -Plexiglas Insert -Side Escape Door -Front Tack Room *Pricing denotes cash/check transaction. 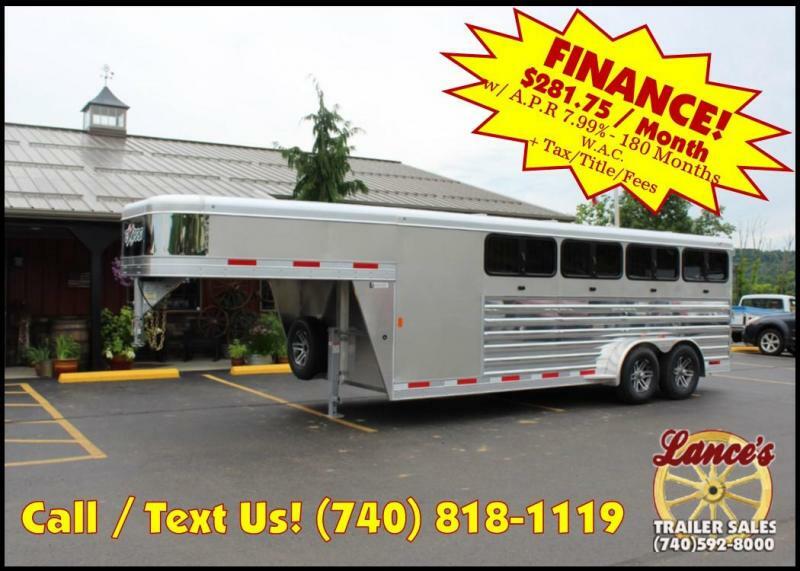 Credit Card fees may apply.